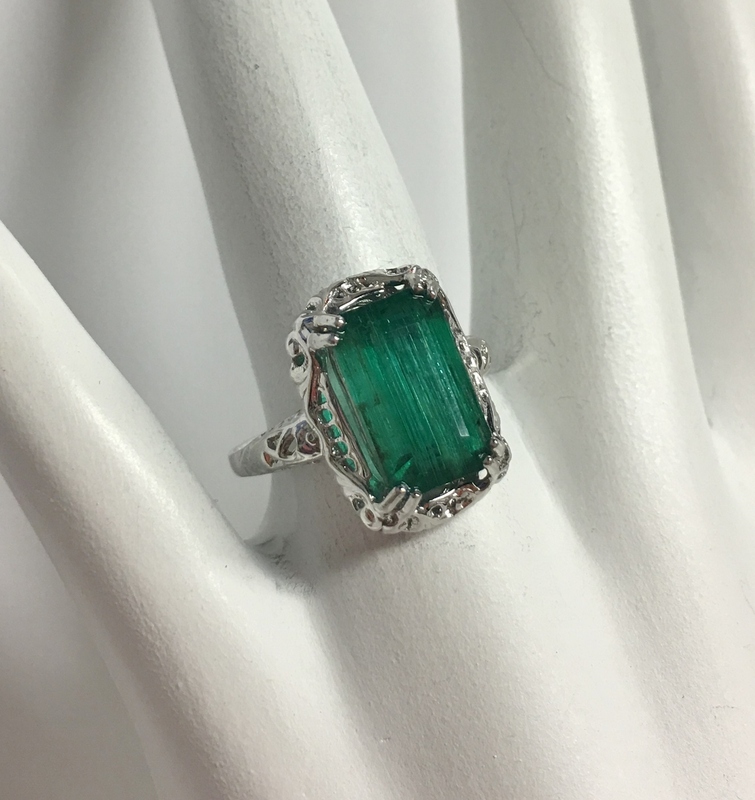 A 14K white gold antique style ring mounted with an emerald cut emerald weighing approximately 3.75 carats total weight. 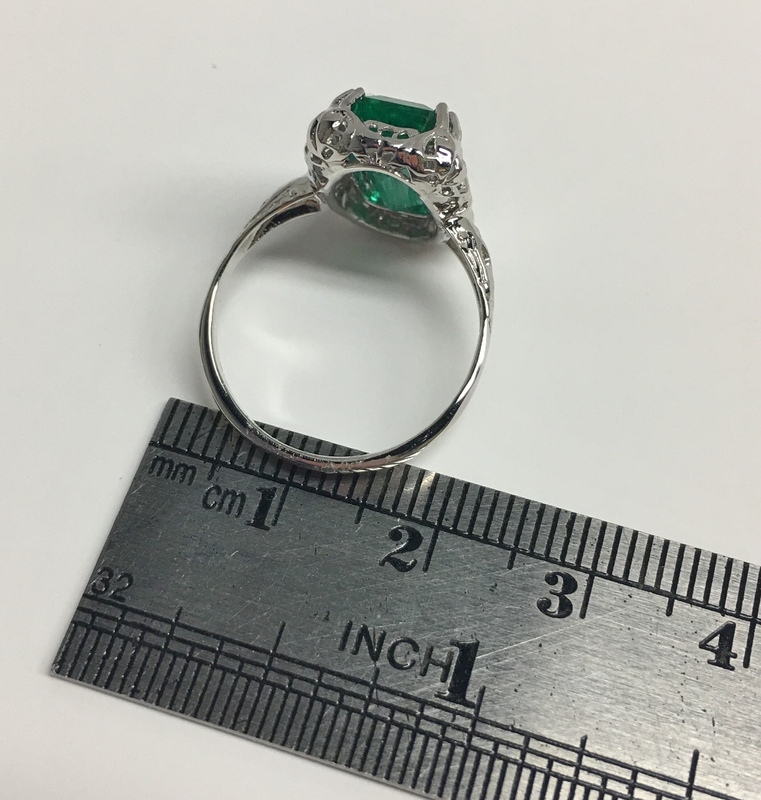 This size 6.75 ring weighs 3.0 grams total weight. Please scroll down for detail photos. Before you buy, view our policies. 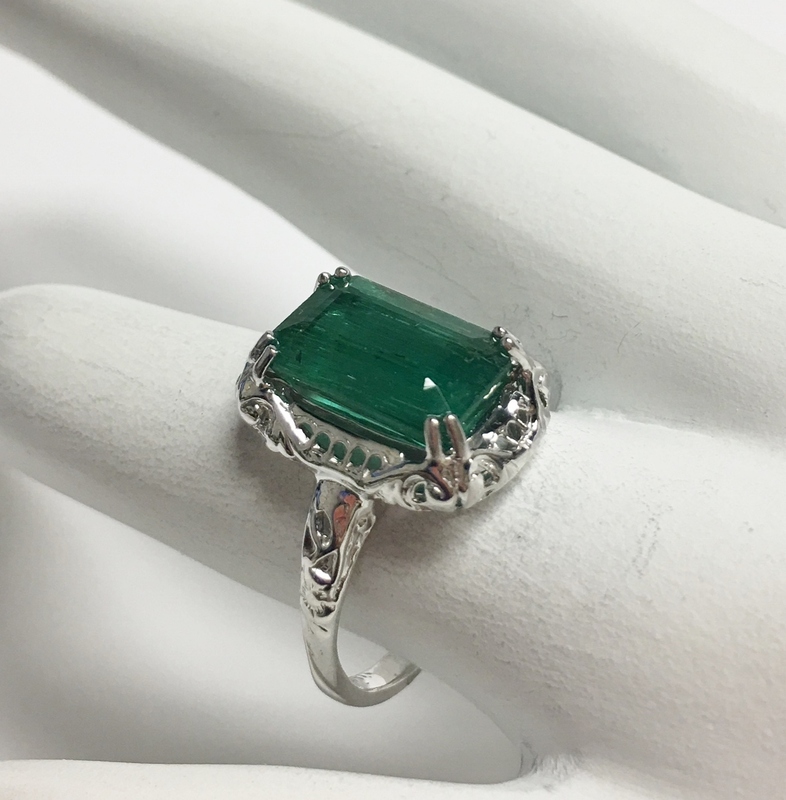 For general questions, not about this specific item, click here. Deliveries within California subject to sales tax.